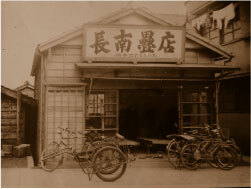 1980: Born to a tatami dealer in Kita-Shinjuku, Shinjuku Ward, Tokyo. of housing materials and interior. 2004: Stayed in Australia for about one and a half years. I now work besides making efforts on child-raising.